Additional Info: NEW VERANDA FOR season 2017!!! 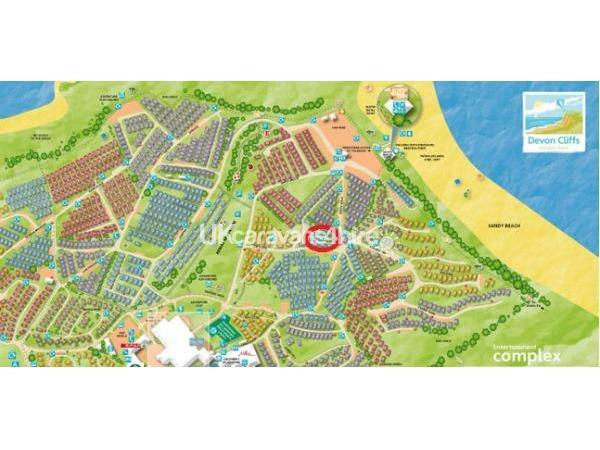 Non refundable £100 deposit books your holiday, balance due 8 weeks before arrival payable by direct payment, instalments welcome, 4 pm arrival. 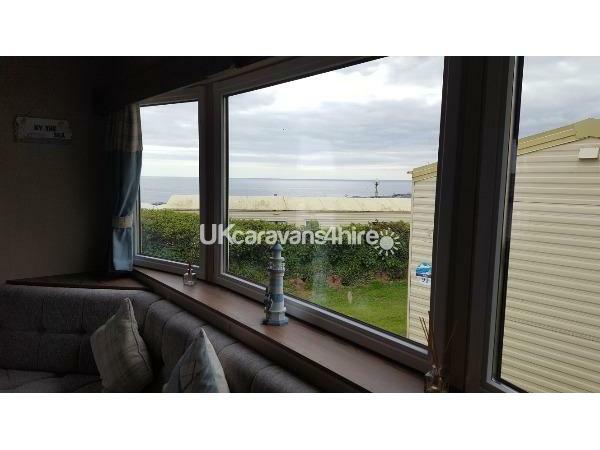 Private caravan for hire at Devon Cliffs Holiday Park with sea views. 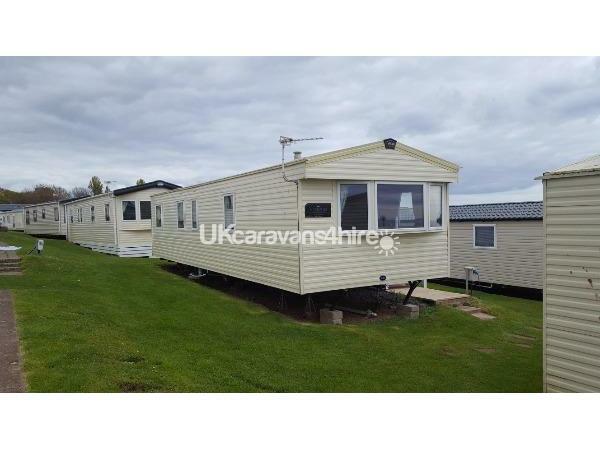 This caravan is a 2016 3 bedroom Abi Horizon with double glazed windows in a perfect position on park. 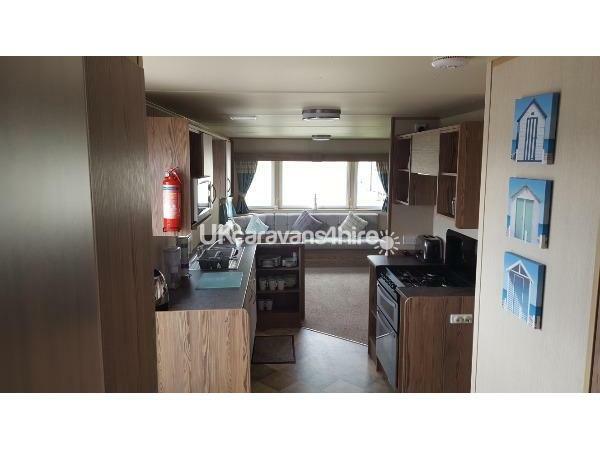 This caravan is situated on Elms which is roughly 5 minutes walk to the beach and 5 minutes walk to the complex, perfect! 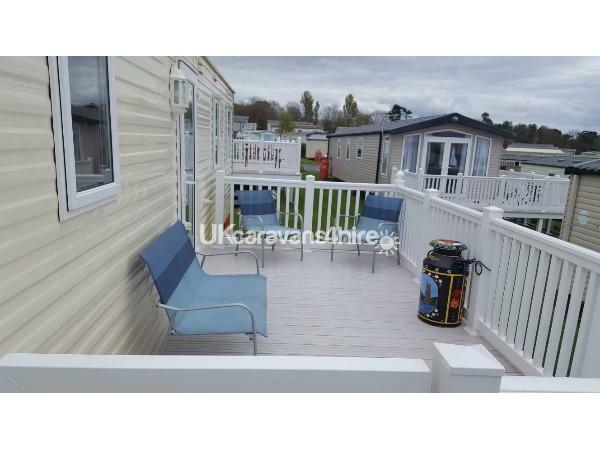 My caravan here at Devon Cliffs is a fully equipped caravan with everything you could possibly need. From kitchen utensils to dvds and a nintendo wii, all you need to make your holiday that little bit extra special. 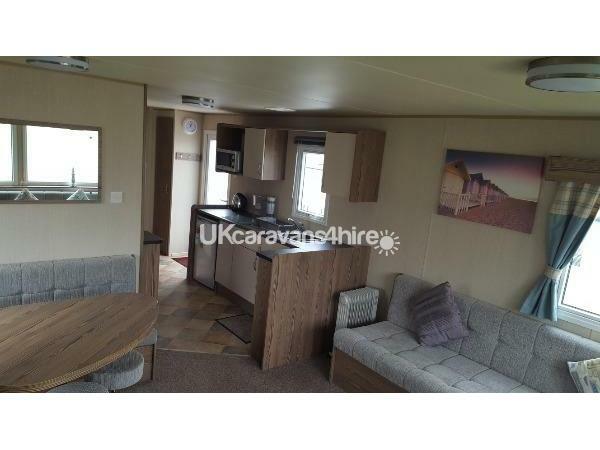 This caravan is equipped with duvets and pillows, however you will need to bring your own bed sheets, duvet covers and towels along with you. 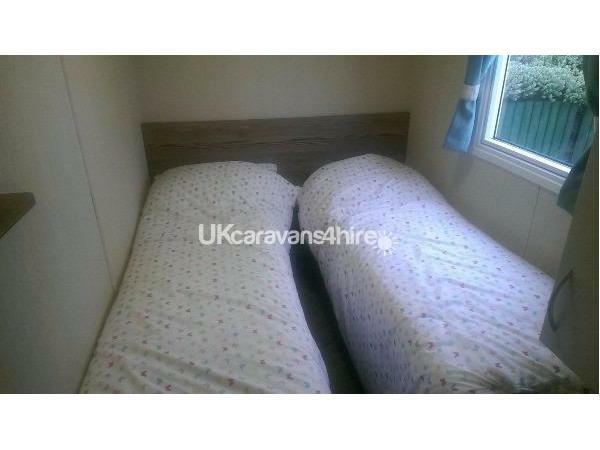 One double room, two twin rooms and a pull out sofa bed in the lounge if needed, two W.C's, one with a large shower. The lounge has plenty of room for you to sit and relax after a busy day. The lounge has a dining table with seating and also a coffee table. 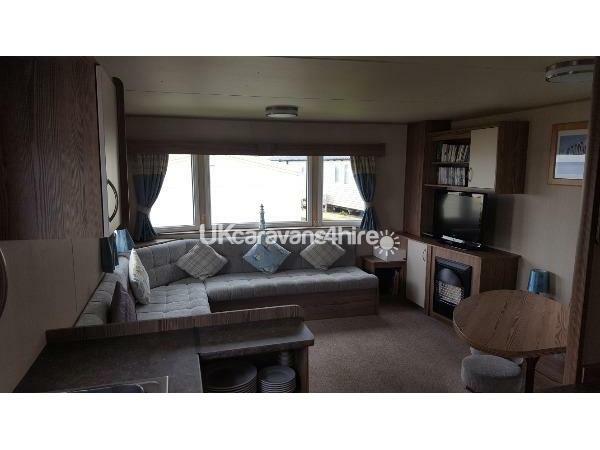 There is a 32" TV situated in the lounge with free view and a CD player with DAB radio. The NEW veranda for season 2017 has some outside furniture and is perfect for the kids as the gate has a safe lock. Here at Devon Cliffs there is a fantastic complex with lots going on. From entertainment to a number of food outlets such as Burger King. The amusements is enormous and will keep you occupied for hours! 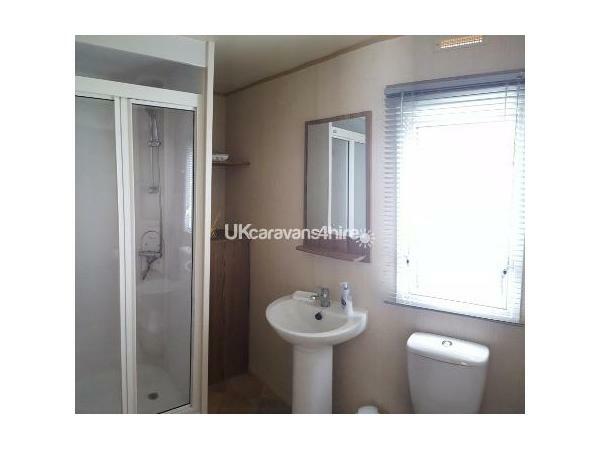 The passes to access the complex are NOT included with my caravan. You will need to purchase these directly from Devon cliffs reception on arrival. Check in time 4 pm. Check out by 10 am. Would consider long weekend and Monday to Friday breaks on request. 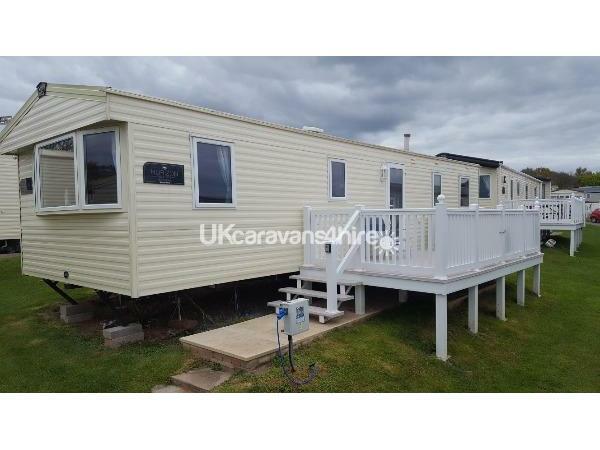 Any questions regarding my caravan please feel free to leave an e-mail. Amanda. 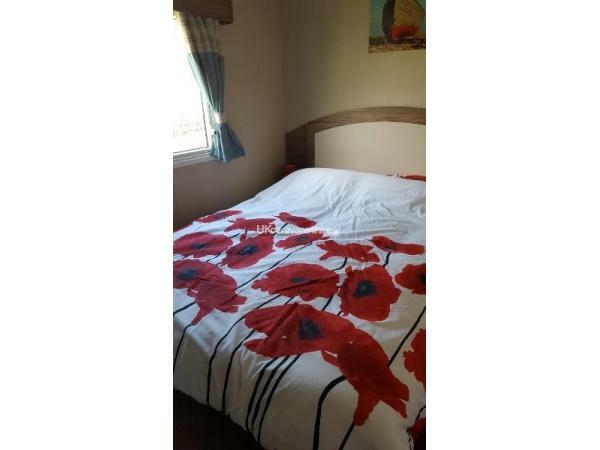 Additional Info: Private sandy beach, supermarket, restaurant, Starbucks coffee, Burger King, fish and chip shop, Millies cookies, Papa Johns pizza, indoor and outdoor pool, outdoor play areas, daytime activities. No reviews found. 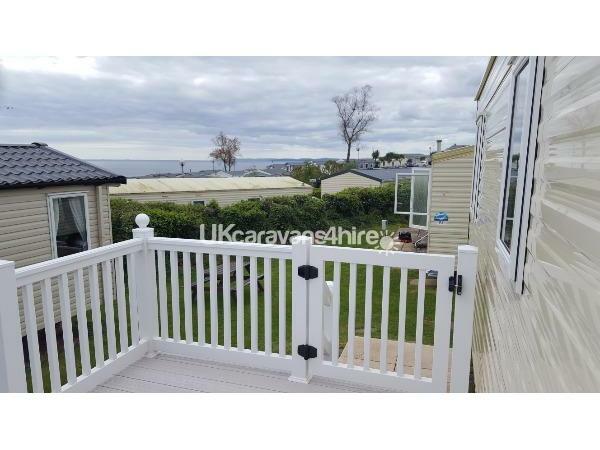 If you have recently stayed in this holiday home please leave a review, it only takes a few moments and will really help future guests when they are searching for holiday accommodation at Devon Cliffs.